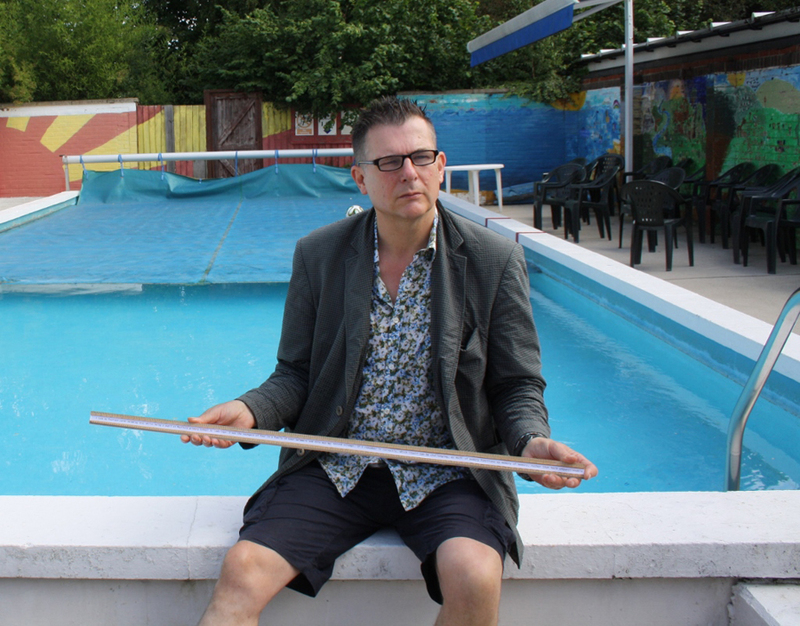 Whilst the great and the good of the aquatic world compete in Glasgow, artist Tom Hackett went poolside in Cambridge last week as part of his plans to set a very different record straight. For it was at Mayfield Primary School as a youngster where Tom committed a grave misdemeanour during his 14 yard swimming test. Although the offence went unnoticed, Tom has been burdened with guilt ever since. This October for ALL2014, Tom will finally be able to lay his demons to rest by confessing all in ‘Fourteen Yard Apology’. Many thanks to head teacher Jaspaul Hill for agreeing to display Tom’s work at the school and for helping him to begin the healing process and his long front crawl back to recovery.